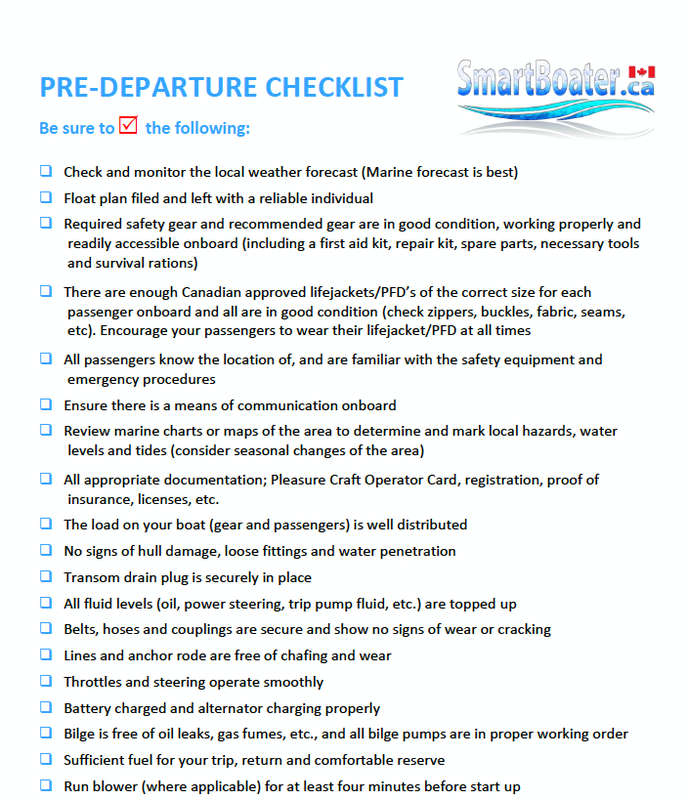 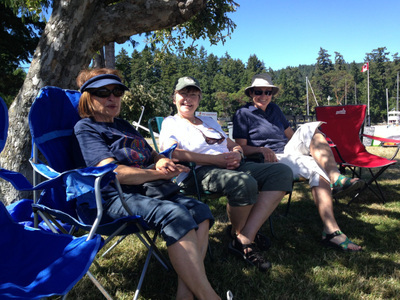 The weather was ideal and seas were relatively flat with a bit of a breeze making it easy for all boats to arrive. 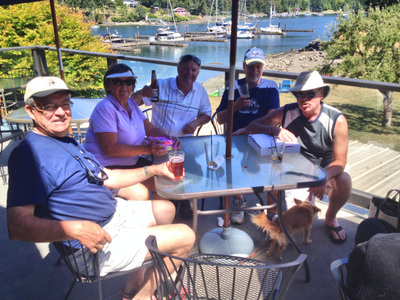 Power boaters attending were Neil & Mari Jensen (Mayne Event) along with guests Maxine and John Bianchin, Bryan & Elspeth Westby (Golden Oldie), Bob & Bonnie Soper (Hart's Content), Ted & Anita Colley (Caddy Shack II) and Brian Dearden (Gulf Raider) with Richard Jarco. Sail boaters were Carl & Sharon Bunnin & dog Buddy (Toon Town) and Cliff & Judy Kiyooka (C'est la Vie) with Gary Westby and dog Abby. 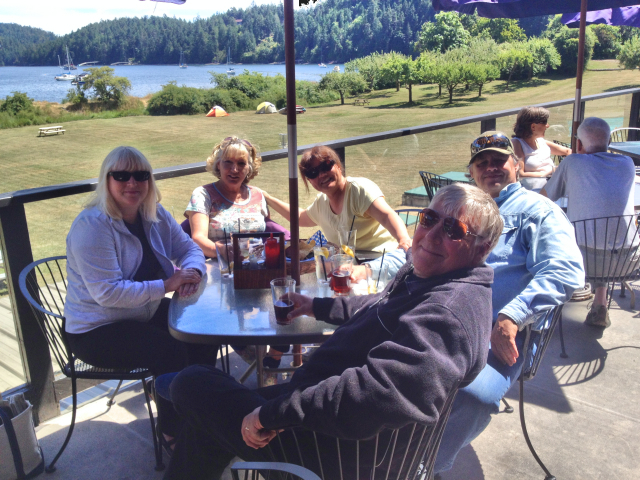 Besides lunch at the Pt. 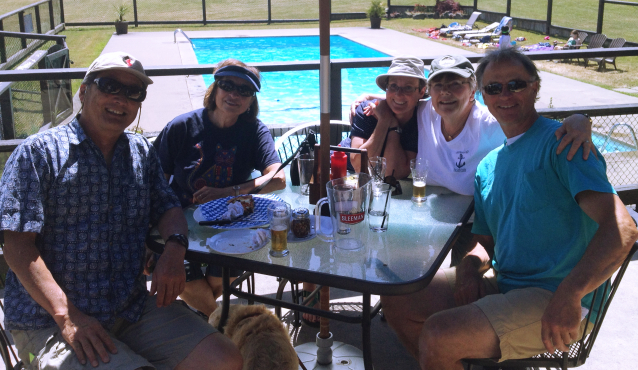 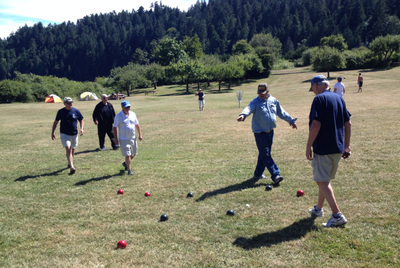 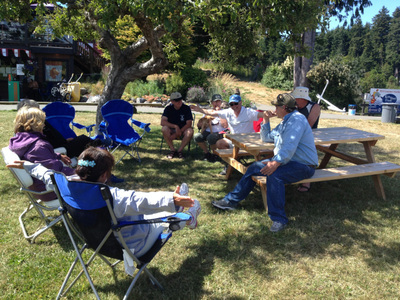 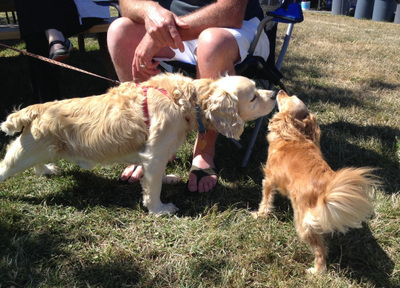 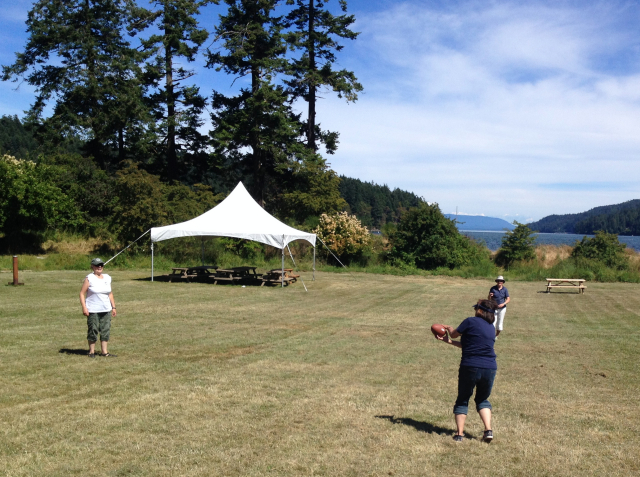 Browning Pub, our boaters enjoyed using the expansive grounds of the marina for bocce, football, and socializing. Toon Town, Hart's Content and Golden Oldie stayed overnight.